2x A4 transfeer lehte kangale. Sobib kasutamiseks tindi- ja laserprinterites. APPLICATIONS. 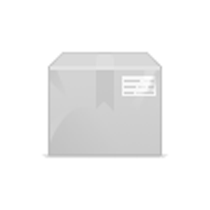 For application on textiles and other materials by ironing. 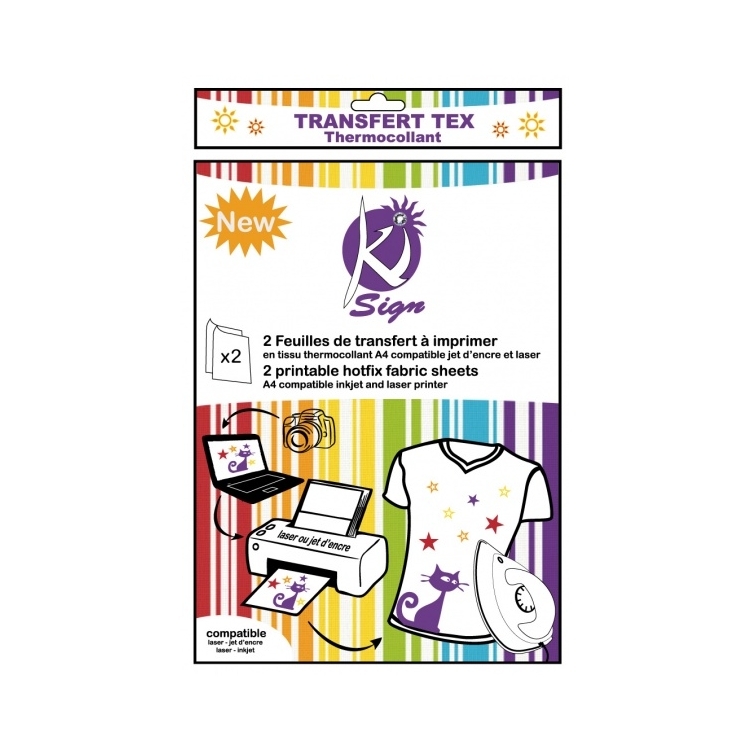 The transfer is perfect for customisation of clothing like t shirts, jeans, jackets, bags, shoes, … but also suitable for cardboard, wood, ... 1. 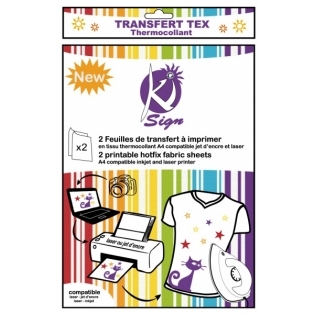 Place the transfer sheet in the inkjet or laser printer to print on the fabric side of the sheet !! Do not remove the back protection of the fabric sheet before printing !! 2. Cut out the printed design, remove the back protection and place the transfer on the fabric to be decorated (printed side facing you) 3. Protect with baking paper or a thin cloth and iron for 60 seconds pressing strongly (cotton position).